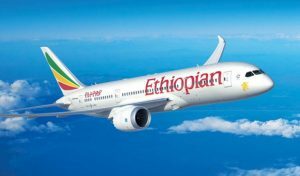 Addis Ababa (Ethiopia) – 10 July 2018 – July 10, 2018 (travelindex) – Ethiopian Airlines, the largest Aviation Group in Africa and SKYTRAX certified Four Star Global Airline, is pleased to announce that it has finalized preparations to resume daily flights to Asmara, Eritrea on 17 July 2018 with the most technologically advanced commercial aircraft, the Boeing 787. This follows agreements reached in Asmara between H.E. Dr. Abiy Ahmed, Prime Minister of the Federal Democratic Republic of Ethiopia and President H.E. Isaias Afewerki of the State of Eritrea. Asmara is the capital and the largest city of Eritrea and is situated in Eritrea’s central Maekel Region. It is home to the Eritrean National Museum and is known for its early 20th-century buildings including the Art Deco Cinema Impero, one of the world’s finest examples of Art Déco style building, Cubist Africa Pension, eclectic Orthodox Cathedral and former Opera House, the futurist Fiat Tagliero Building, the neo-Romanesque Church of Our Lady of the Rosary, neoclassical Governor’s Palace and much more.